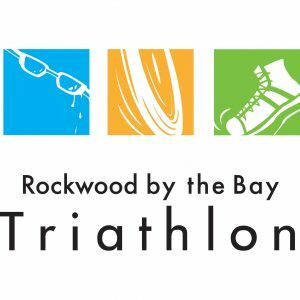 Rockwood by the Bay is a multi-sport event held in the heart of Canada’s oldest incorporated city. Set in the largest municipal park in Canada, your day either starts with a 750m swim in beautiful Lily Lake or a 2.5 km run through the immense Rockwood Park trail system. Exit the swim onto a sandy beach, and head a short distance to transition where you will leave the park and travel through the streets of East Saint John. The course snakes along the coast of the Bay of Fundy from a pristine park, through a commercial district and out into Saint John’s industrial heart. A combination of fast flats and some climbing make this course tough but fair. A 5k run awaits back at the park where a mix of hills, flats, asphalt and trail takes you through the pristine conditions of Rockwood and along part of the Trans Canada Trail. A fast, flat finish around the lake makes this one of the most scenic finish lines in all of triathlon. On race day, Athletes, Volunteers, and spectators are invited to bring a donation for the SPCA and “Fill the Subaru”. Not sure what to donate? Check out their Wish List which is updated as their needs change. They also accept Canadian Tire money or Canadian Tire points. Volunteers are needed on race day – spread the word to friends & family to sign up! Enter the “Clean Air Trail”. This is a 700m loop. Keep to the left, then exit at the same parking lot again. Turn right and head toward Fisher Lake, keeping to the left of the traffic circle. You will pass the water stop, and continue around the back side of the traffic circle. Keep left on the Loop Road (with all the flags). Continue around Fisher Lake by the AFrame canteen and bear left and you will come back to the water stop. Head south back toward Lily Lake. A series of left turns will bring you down to Lily Lake. A left turn on Lily Lake trail will bring you around the north end of the lake and you will see the Pavilion and the finish line! Turn right and head toward Fisher Lake, keeping to the left of the traffic circle. We couldn’t host this event without our sponsors!